Are neodymium magnets only used in small speakers? Many people say that neodymium magnets are only used on headphones or small speaker, and that is rarely used on large-sized speakers. They cited several reasons. Let us check is it really? The neodymium iron boron magnet is not high temperature resistant, and the H grade magnets (commonly used in most of the product) will start demagnetized beyond 120 degrees Celsius. More than 300 degrees Celsius, completely demagnetized. Neodymium magnets demagnetize due to high temperatures. For high-powered loudspeakers, it is difficult to avoid overheating. But if we Install some heatsinks, it will increase the weight and volume, and then the transportation costs will be increased too. The cost is also not as good as ferrites. Heavyweight and high transportation costs. As we all know, neodymium magnets are magnetic and small in size. But why do many people still say that they have a large weight and high transportation costs? That’s because many people think that when the big high-power speaker works, it will over-heated, in order to avoid demagnetize, the speaker needs a fan or other cooling accessory to make the lama cool down. In this case, the fan will make the heavy-duty speaker heavier. For a single loudspeaker that has a weight of more than 100kg, if the weight is heavier, it will further increase transportation costs. High price. Compared to other kinds of magnets, the price of neodymium magnets is indeed higher. This will make the product difficult to sell. Alnico magnets are relatively inexpensive. So manufactory doesn’t use neodymium magnet on large-size speaker. The above three reasons are the reasons why everyone thinks that large speakers do not use neodymium magnets in large size speaker. But are these reasons really true? The answer is false. That s not true. In fact, there are many big brand speakers in the market that already use neodymium magnets. For example, Faital Pro‘s 18-inch bass speaker use neodymium magnet; top manufacturer German BMS, 18-inch 1200W AES power speaker. Because these are top speakers, so there are not too many consumers know that, but the HiFi big fans know it. Now let us explain these three reasons for you. large-size speaker, especially the air flow in the low-noise body, is also very strong and can play a certain role in heat dissipation. 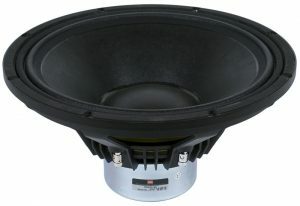 Meanwhile, there are lots of manufacturers through a special design to further reduce the temperature of the speaker. The only consideration for using neodymium magnets is weight and volume. After all, large speakers are often moved, and logistics costs are a factor to be considered. In fact, many brands of speakers don’t need additional equipment for the cooling. But the speaker can effectively reduce the temperature. And protect the speaker well, no need to worry about the over-heating. 3.About the cost, in fact, the cost is actually not within the factory’s consideration. Because of the relative price of large speakers and the savings in logistics costs, the price of Neodymium magnets is only a small problem. And we can ignore it. https://www.osenc.com/wp-content/uploads/2018/05/neodymium-magnet-speaker-unit.jpg 550 800 Joshon http://www.osenc.com/wp-content/uploads/2019/02/环形副本-276x300.png Joshon2018-05-01 13:52:552019-04-02 01:13:43Are neodymium magnets only used in small speakers? Gas Water Stealer Neodymium Magnet How to pack the magnet?